AHS has a new publications sales and services manager. categories. This award is presented at the National Convention each year. Rules applying to this award are as follows. no later than September 1 each year. electronic media that can be viewed online. 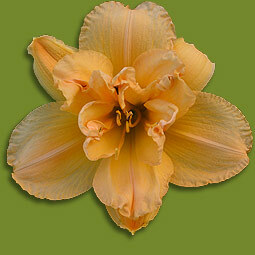 The award recipient will be recognized in the Daylily Journal and ENews. times, if merited, but not for the same project. On November 10, 2012, the AHS Board voted to approve an action item amending Registration fees as follows, to take effect January 1, 2013. Registration fees had remained level since 1996, a period of sixteen years. Raising fees will help to cover direct and indirect expenses associated with registration such as processing and mailing registrations, labor, printing, and maintaining the online database. Listing Hemerocallis fulva as an invasive species. Several state and agency publications and websites currently list Hemerocallis fulva as an invasive species. Due to its long life span and use in erosion control, H. fulva is often found near old home sites and along drainage ditches. The same properties that allow it to flourish in these settings with no care can also allow it to be considered invasive in certain settings where its slowly spreading habit might displace some native plants over time. Get the full AHS Press Announcement on Hemerocallis Fulva as an invasive species. © Copyright 2012-2015 by the American Hemerocallis Society, Inc.